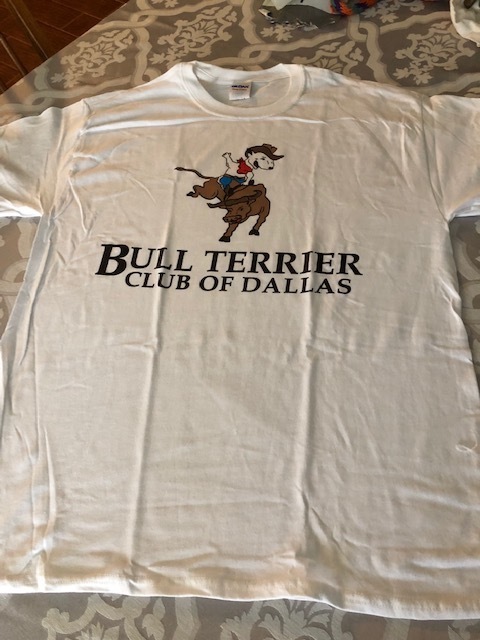 From time to time the Bull Terrier Club of Dallas offers shirts and other items in exchange for donations from non-members. At other times members use this page to pass along unneeded items, such as crates, grooming supplies and other cool Bull Terrier stuff. Contact the club via the CONTACT US tab with your interest in items you see on display. 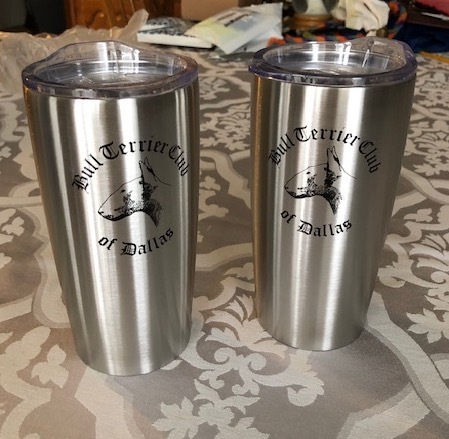 Contact the club as well if you would like to make a donation to the club of dog-related items for fundraising purposes. Also for sale vintage T's, Pins, Bags and Koozies ! One of our vintage T's for sale. Very talented Club member Robin created these two-sided x-ray shirts. They will be available at our Spring Show Weekend March 29, 30, 31.